Q-Squared by Peter David - we need a book report! JK and I each have one, thanks to our Man in New Zealand, Greg! JK and I have this on tape and Bill is SO MUCH MORE GORGEOUS when you can see him clearly. I believe we fangirl'd over this in a show from last year. Bill is one of the few people who could appear in full TV makeup, outside in natural light, and still look SO MUCH MORE GORGEOUS than ordinary people. 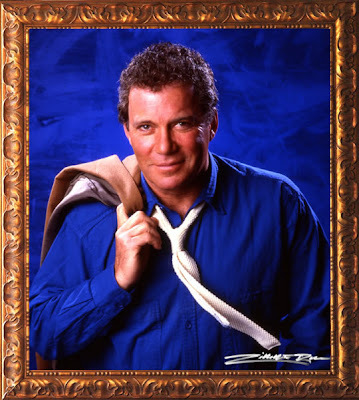 Wanna see a Shatner swallow? 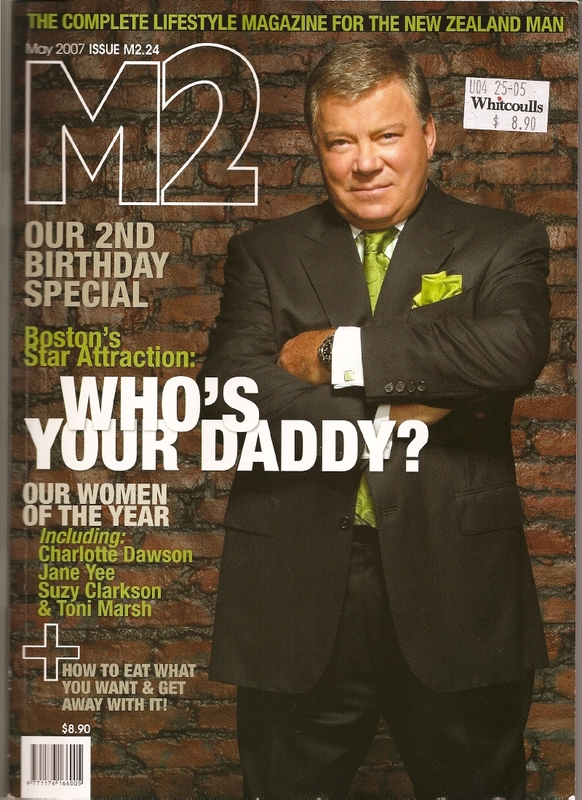 Shatner Chats With Fans About The Emmy Submitted Boston Legal Episode "Son of the Defender"
Courtesy of ShatnerVision. Watching Bill try to deal with an online chat room is priceless. New Brad Paisley video - "Online"
Tom Snyder recently passed away. For fans of a certain age, his Tomorrow show was always worth watching, for interviews with rock stars, writers, and TV stars. 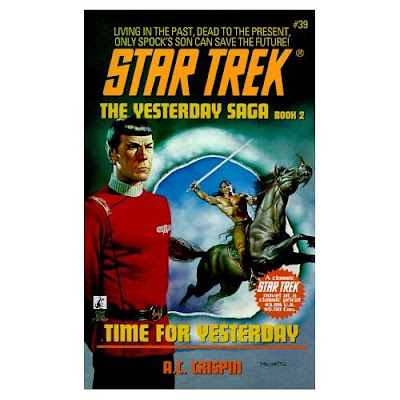 The hour he spent with DeForest Kelley, James Doohan, Walter Koenig, and Harlan Ellison is classic. Bill (and Boston Legal) nominated for Emmys! Star Trek in Internet World magazine - 1995! We play the Star Trek Trivia Challenge! You can read a bit about The Chumps here. 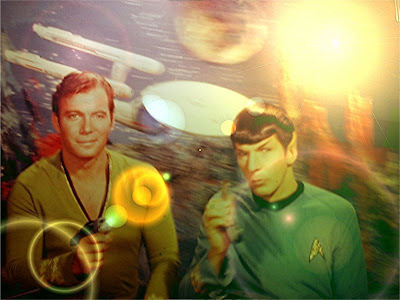 "Spock's Brain is a live presentation of an actual Star Trek episode! The talented cast, in full Star Trek costumes—er, uniforms—performs the episode on a great-looking set with actual music and sound effects from the original Star Trek television series. It's not a spoof or a parody of Star Trek—it is the actual episode in its entirety!" This performance ran in 2004. Read more about it here! 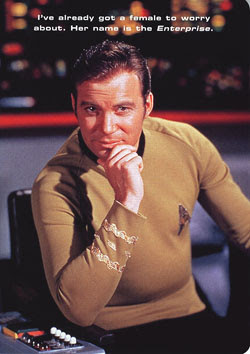 Matt Bianco played Captain Kirk. Stephen Millunzi played "Bones" and the surface Morg. Andy Bray played Chekov and a security morg (fight scene). Lola Davidson played Nurse Chapel & Luma. Danny Esguerra played a red shirt & a morg.